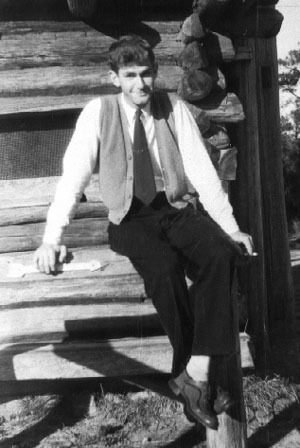 L. K. Culpepper is the father of Lester Kenneth Culpepper, Jr., born 1924 in Mecklenburg Co., NC. Lester Kenneth Culpepper, II, Male, White, Widowed, born 27 Jan 1924 in NC, died 29 Jul 1986 in Texas, SSN: 242-26-8809, resided in Union Co., NC; burial out of state. Kenneth Culpepper, Son, M, Wh, 5, sng, NC/SC/SC. Lester K. Culpepper, White, Male, born c 1893, died 28 Jul 1939 at age 46 in Dorchester Co., SC, Vol-Cert# 24-9756. Lester Kenneth Culpepper II, Male, died 29 Jul 1986 in Lubbock Co., TX. Lester Kenneth Culpepper, Jr. and Mary H Ledwell are the parents of Lynn Victoria Culpepper, Female, born 1944 in Mecklenburg Co., NC. Will* 5 Dec 1903� He made a will at McIntosh, Marion Co., Florida, on 5 Dec 1903, naming as executor(s) Henry L. Dickson, naming as heir(s) Effie Narcissa Boykin and Martha Neil Boykin. Saturday, March 19, 1887, Boston, GA: "Mr. C. L. Simms, traveling agent to the 'Savannah Morning News', has removed his family to this place, and occupies the house of Rev. J. M. Rushin, made vacant by the removal of the latter to Valdosta. Charles L. Simms, Uncle, M, 63, md1-33 yrs, GA/VA/GA, Traveling Salesman for crane Co.
Amanda Simms, Aunt, F, 55, md1-33 yrs, GA/Scotland/PA. Mary V. Sims and Alexander J. Robert on 18 Oct 1863 by E. B. Teague, M.G. in Troup Co., GA, Book D-249. Maggie J. Robert, Dau, F, S, W, 4M, TX, F: SC; M: GA.
Westbrook - Simms Engagement Announcement, April 4, 1915, Page 2 M.
E-mail written Oct 2013 to Warren L. Culpepper from Stephen Carroll Pearsall, Riegelwood, NC, e-mail address. Florence Elizabeth Westbrook had a double wedding. The sister married Clifton Lee Leak. Emily’s mother was born 1871 and died 2 Apr 1895 in Wilmington, New Hanover Co, NC, buried Oakdale Cemetery. The father Samuel Waight Westbrook, was born 13 Jun 1868 in Greensboro, NC and died 25 Jan 1947 in Monroeville, Monroe Co, Alabama. Samuel and Florence were married in Wilmington on 12 Feb 1891. Biography* � During the late 1960's, Warren Culpepper and his brothers recall Emily as a very sweet elderly widow known as "Cousin Em". 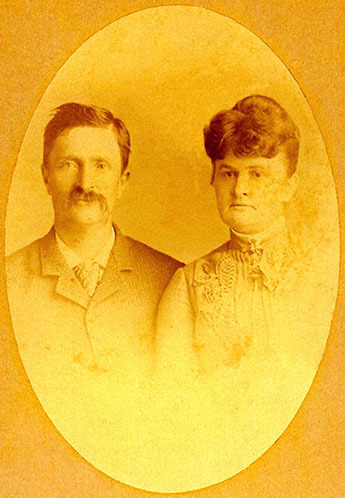 (She was the wife of Wiley Harstfield Sims who was Warren's first cousin, twice removed, and he was the first cousin of Warren's grandfather, Harry S. Culpepper, Sr.) Em often joined their family for Thanksgiving or Christmas, so apparently she had no closer living relatives at that time and perhaps she had no children. Biography* � A news article that appeared on 30 Jan 1876 in The Atlanta Georgia Constitution sheds light on why young Jeff Simms left Troup County: "A young man named Jeff Simms, about eighteen or nineteen years of age, we suppose, brought three bales of cotton to LaGrange [Troup Co., GA], last Saturday, with a note to Mr. John W. Ragland, signed John R. Sterling, asking Mr. R. to sell the cotton, sent him (Mr. S.) $100, and keep the remainder till called for. Mr. Ragland complied with the request, and on Monday Sims came back after the balance of the money and got it. Wednesday morning Mr. Sterling came to LaGrange hunting for his cotton. Simms had stolen it, had forged the note, and, after obtaining the money had left for parts unknown. Mr. Sterling found the cotton, and had it levied on into the hands of Mr. Samuel Cherry." The Jeff Simms in this article is the same age as Jefferson Hartsfield Simms. Also, the Simms in the article is probably White, because if he were Black, the article would have stated that in accord with the practice of that day. No other Jeff Sims or Simms besides Jefferson Hartsfield have been located in the 1870 census for Georgia, and none can be located in GA in 1880. Finally, Jefferson Hartsfield Simms had an uncle named John Randolph Sterling, and the cotton was stolen from a John R. Sterling.